Structural variations (SVs), including copy-number variations (CNVs – deletions, duplications) and copy-neutral variations (inversions, balanced translocations), collectively account for more differences between individual genomes than do single-nucleotide variations and small indels. Spanning 50 to millions of base pairs, SVs occur due to a variety of mutational mechanisms. The rapid drop in next-generation sequencing (NGS) costs has led to an explosion of new SV detection tools & datasets, yet hurdles remain for reliable SV detection. 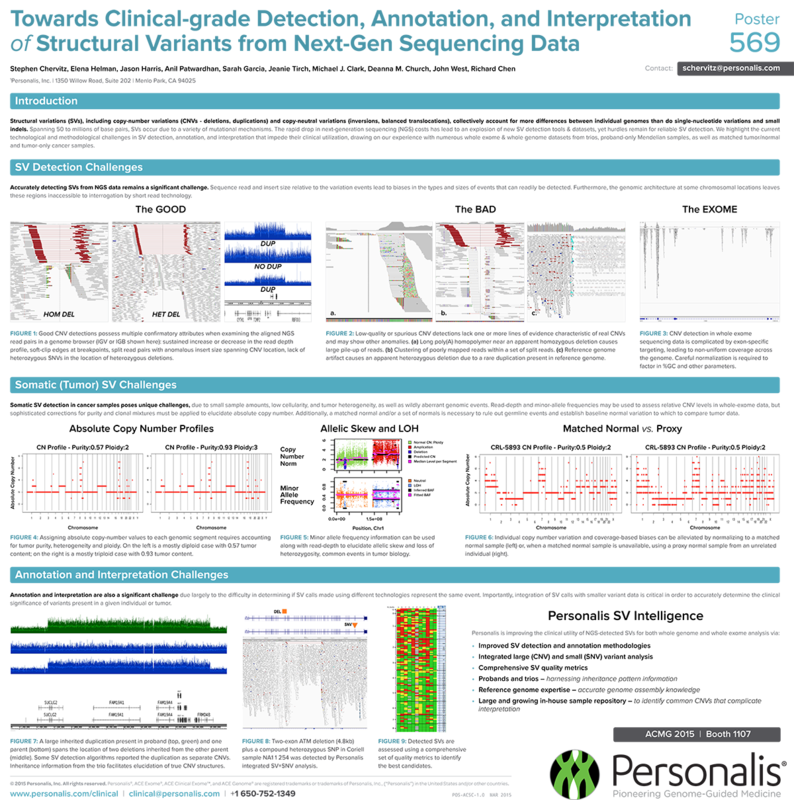 We highlight the current technological and methodological challenges in SV detection, annotation, and interpretation that impede their clinical utilization, drawing on our experience with numerous whole exome & whole genome datasets from trios, proband-only Mendelian samples, as well as matched tumor/normal and tumor-only cancer samples.